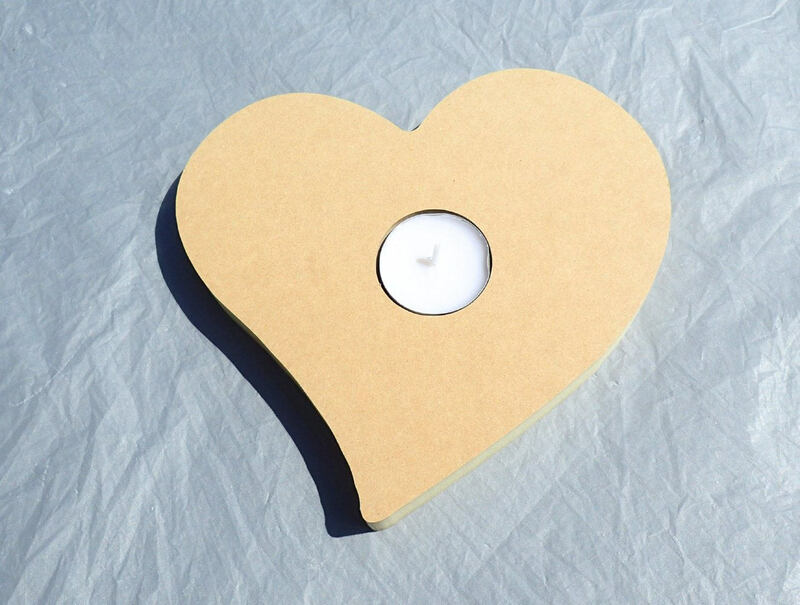 This is a 7" (17.78 cm) heart shaped plaque has a spot to hold a tea light candle. 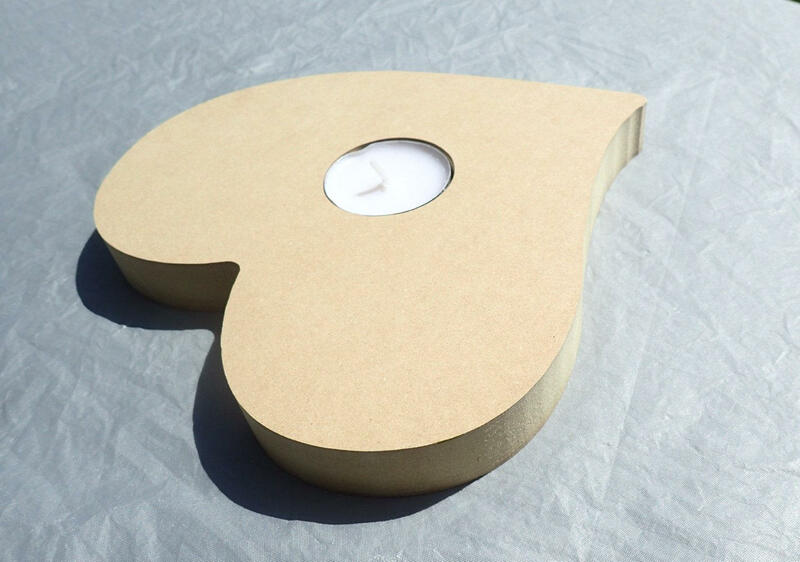 The back is completely flat, so it will stay put on your coffee table. 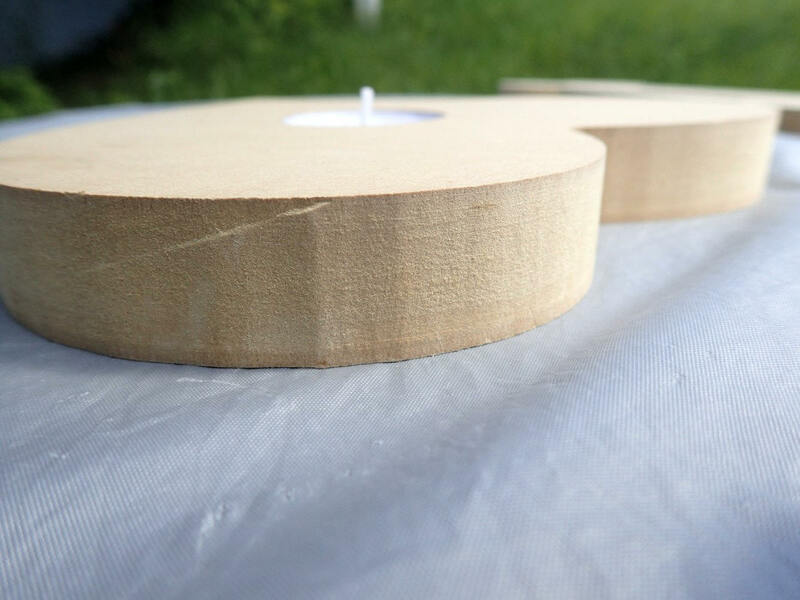 And this candleholder is 3/4" (1.905 cm) thick, so the sides are easy to finish. This has a total of 30" of surface area. 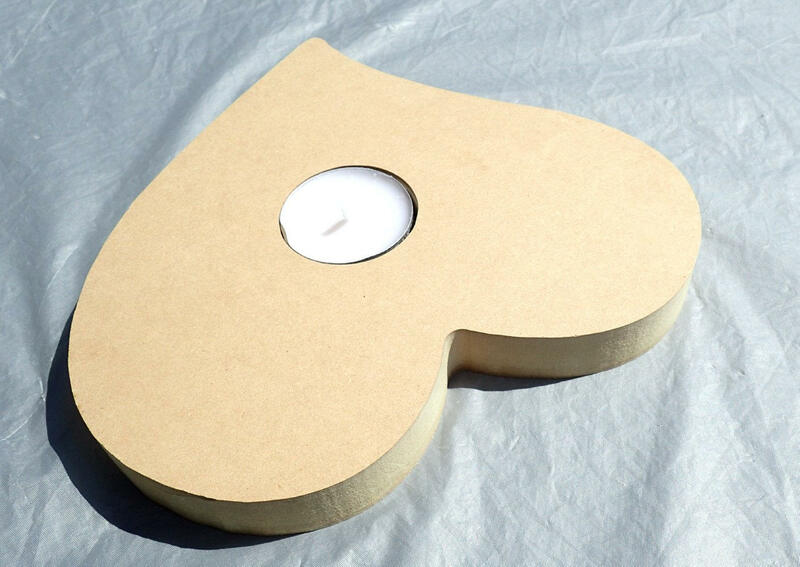 One tealight candle is included. Use this for your next mosaic project. 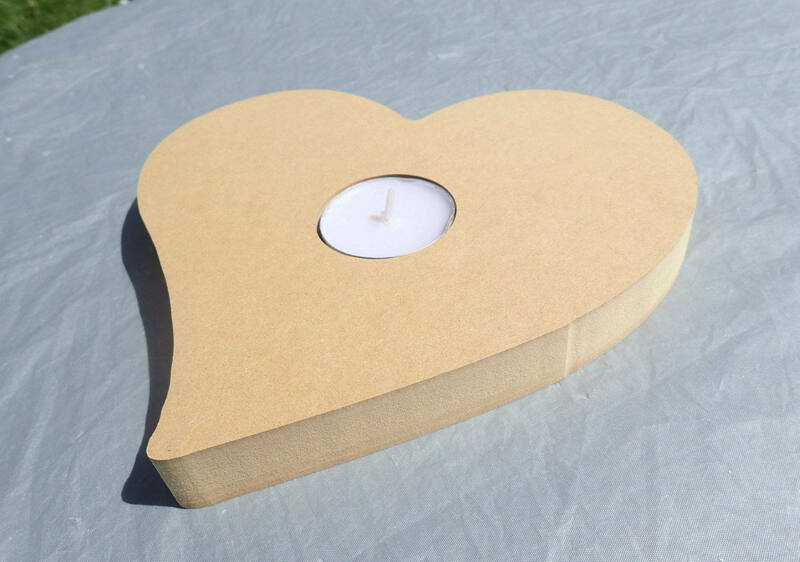 Or you could use it for decorative painting, decoupage, or anything else you can dream up (that is safe to have a candle burning near it)!